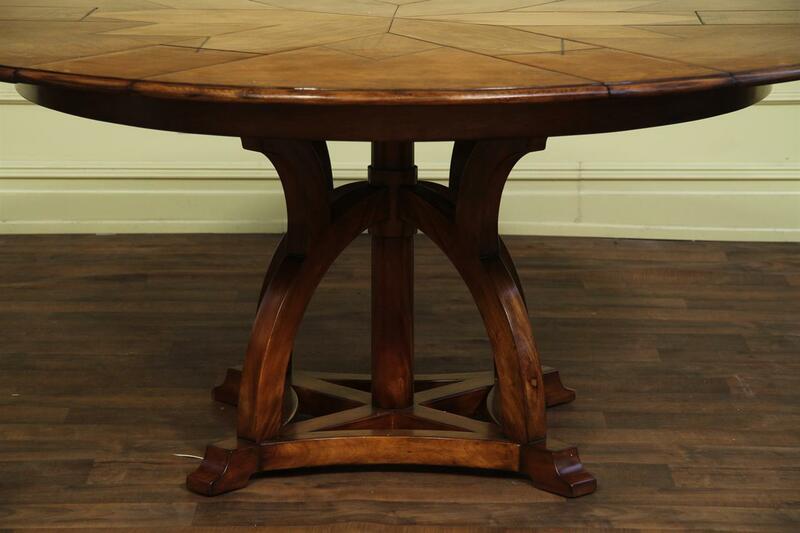 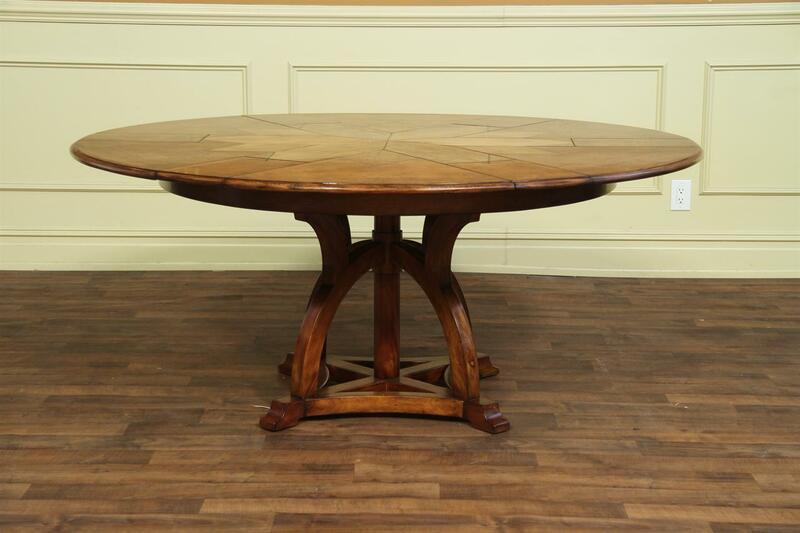 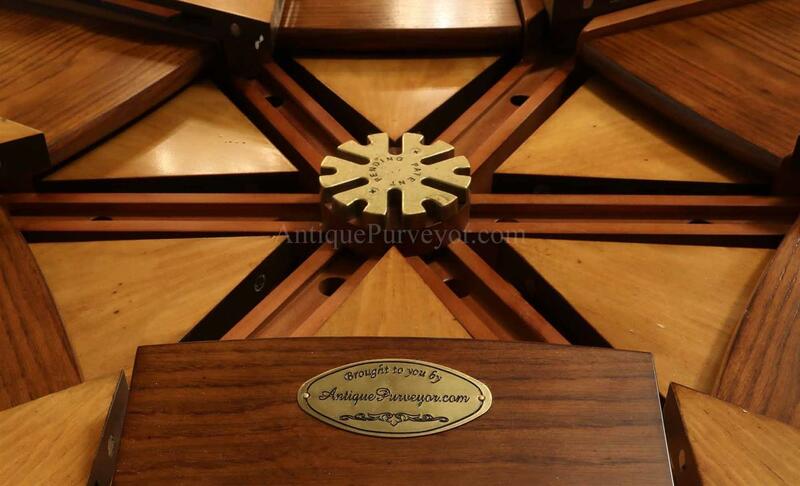 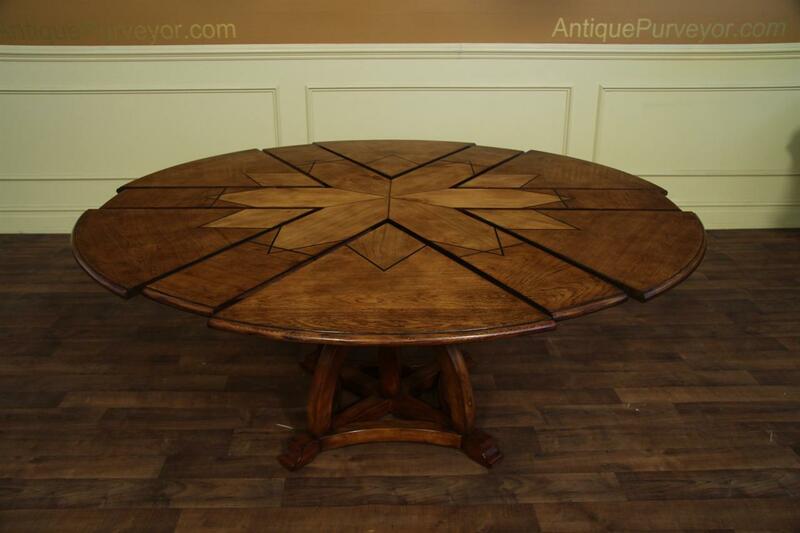 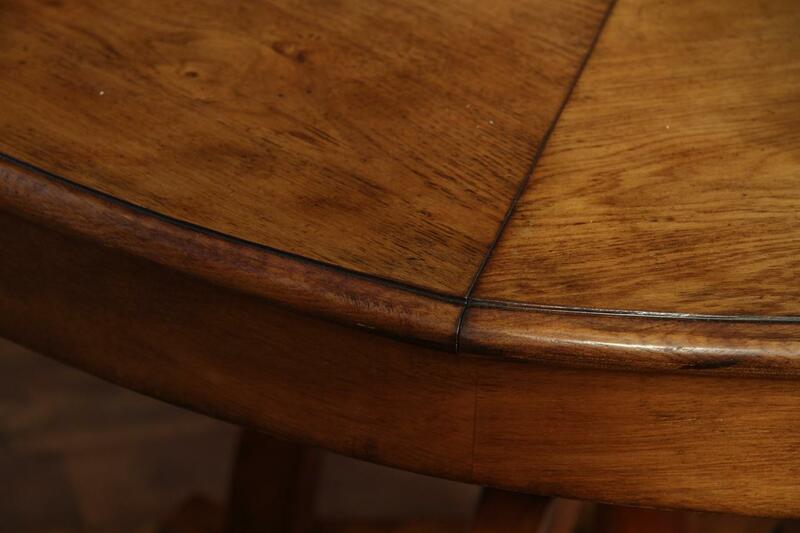 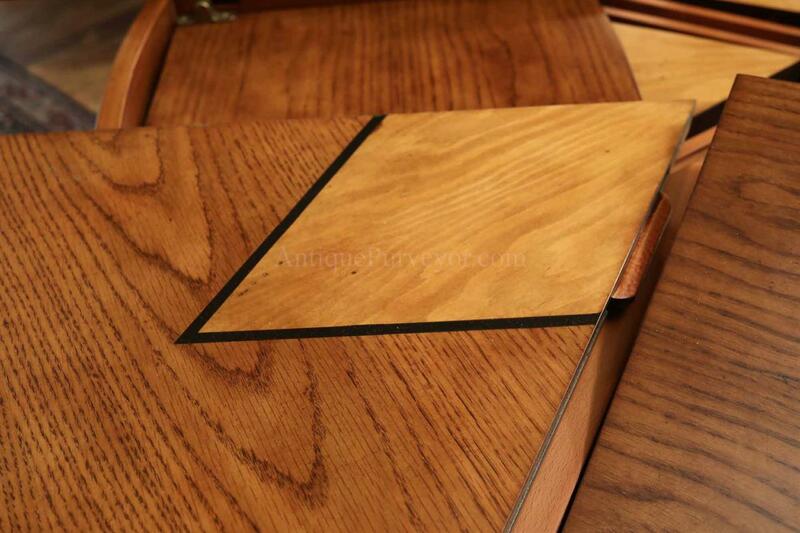 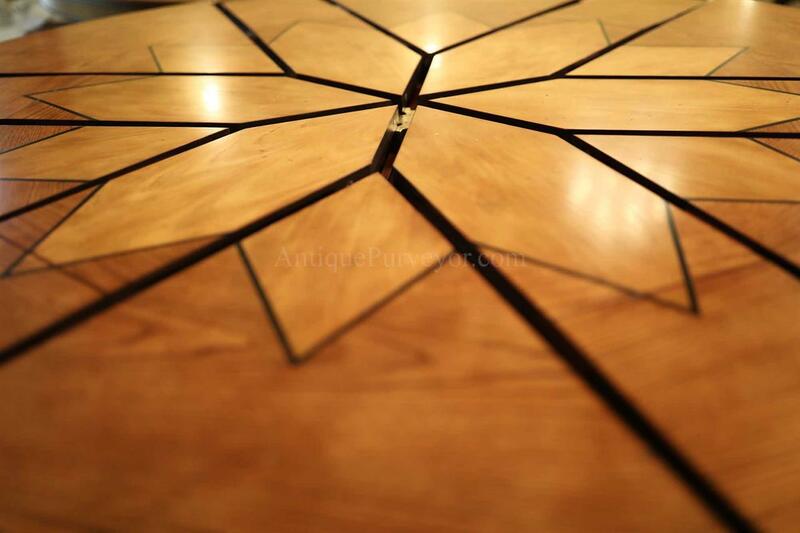 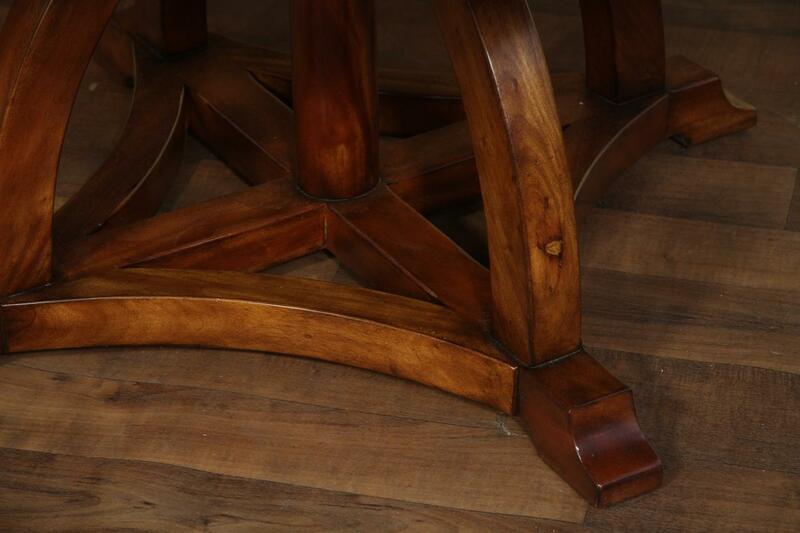 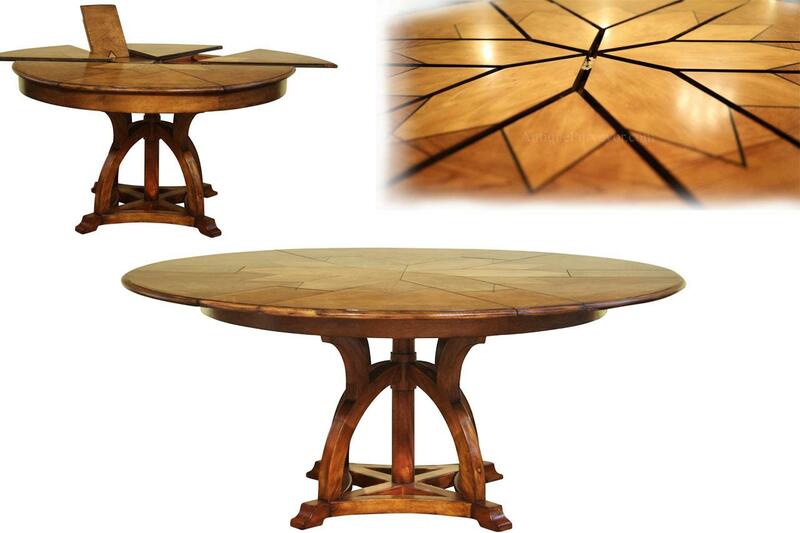 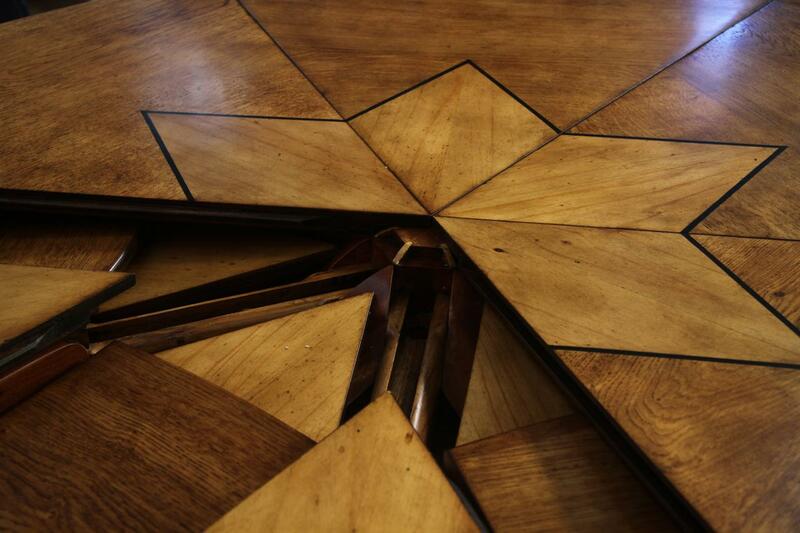 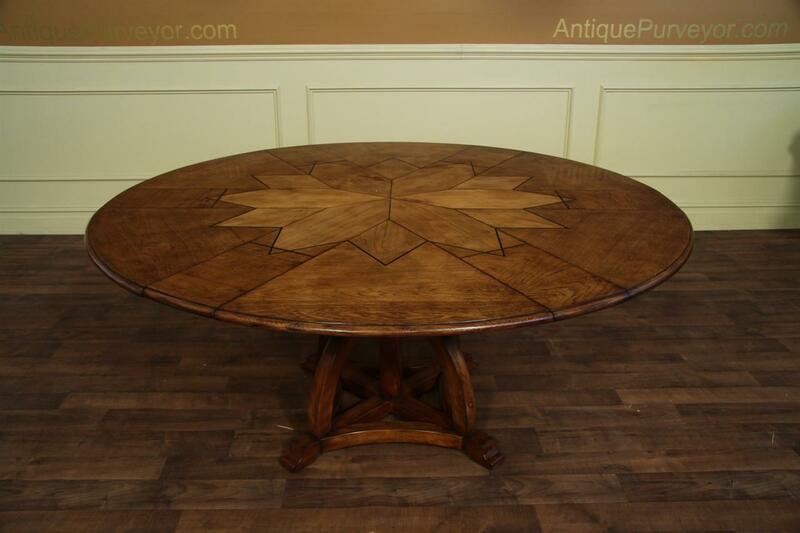 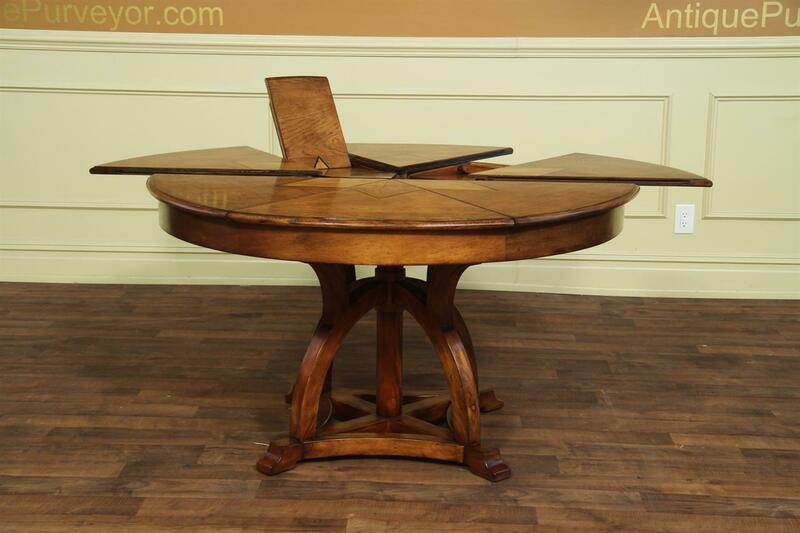 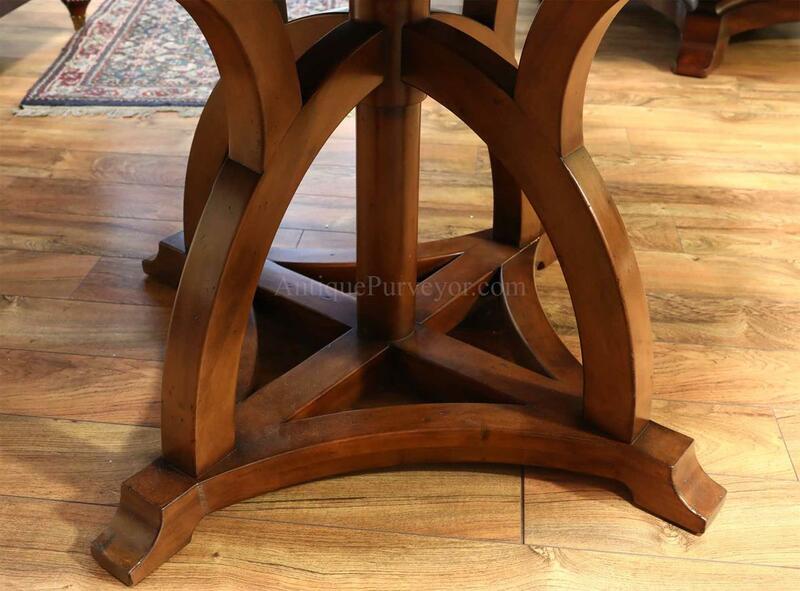 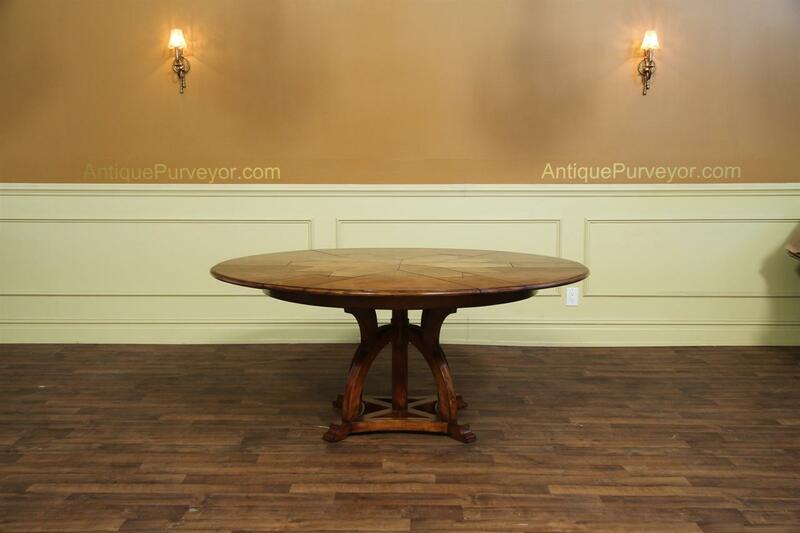 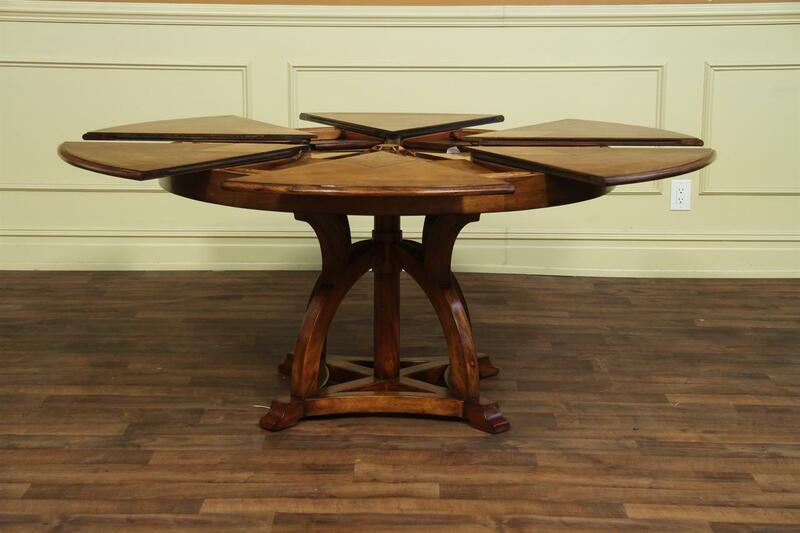 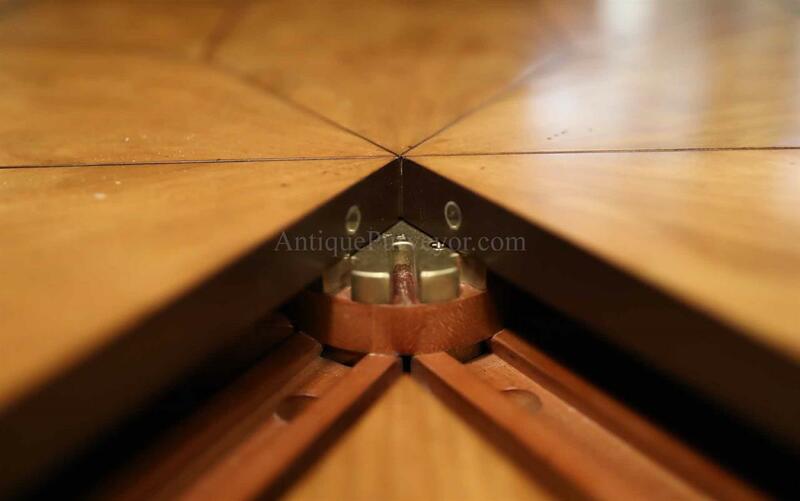 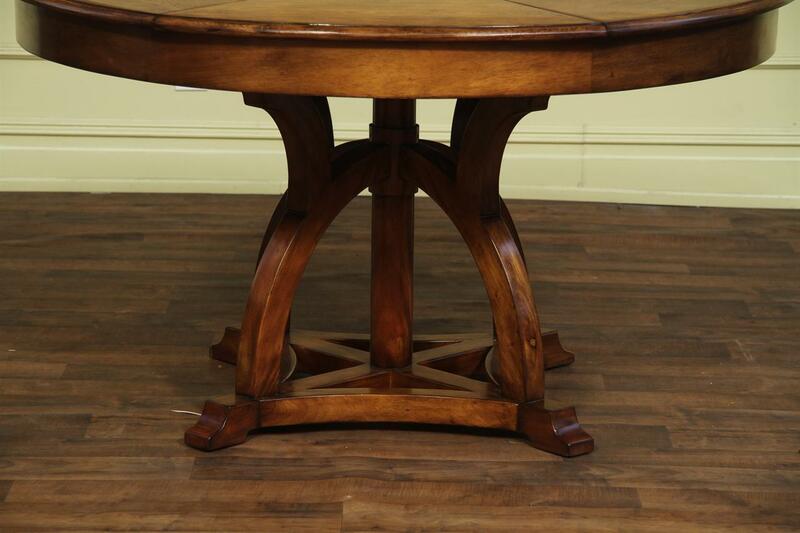 Arts and Crafts style walnut table, expandable to 70 inches with self storing leaves. 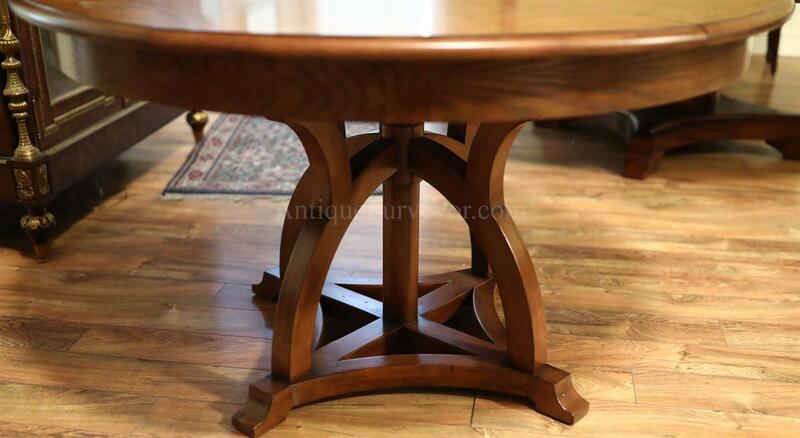 Description: New design for 2015, this Arts and Craft style solid walnut dining table can be used from 54 to 70 inches round. 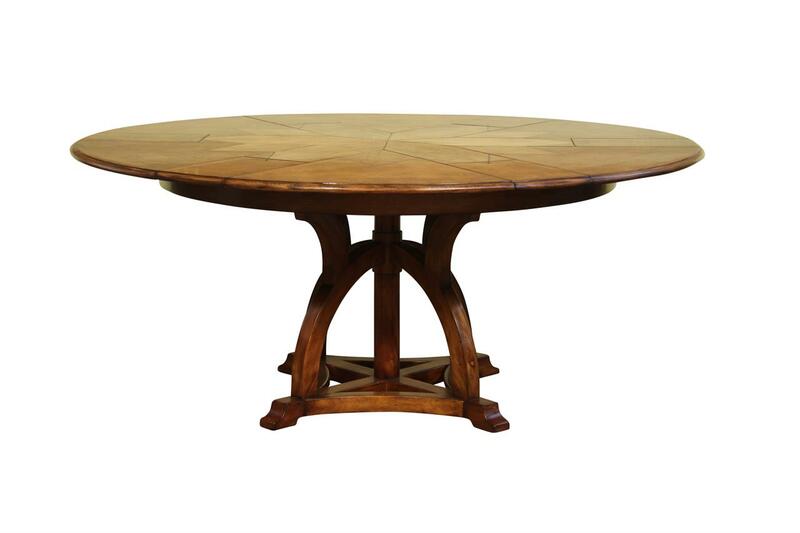 This table is also available in large sizes, so check out related products on right margin of your screen or call us for more information. 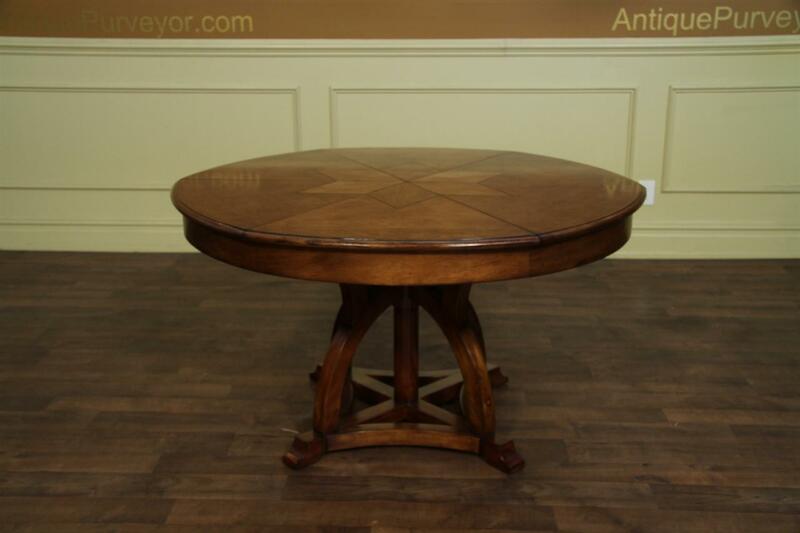 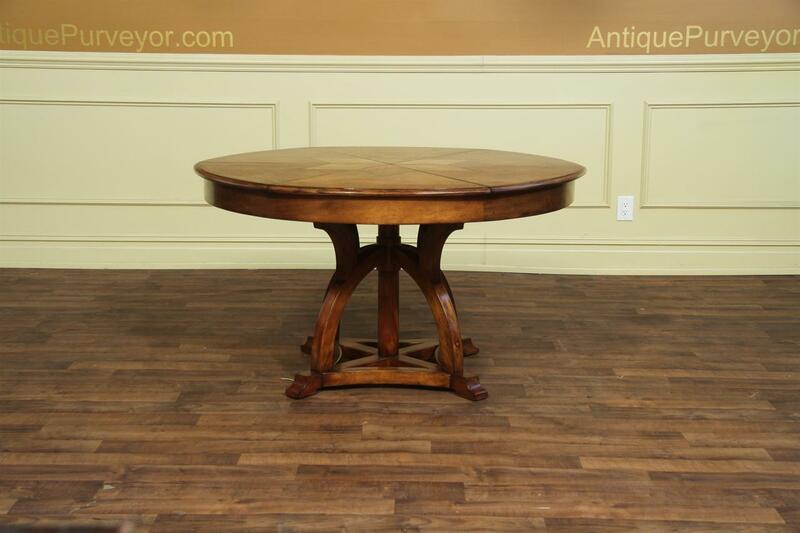 A perfect choice table for transitional dining rooms, arts and crafts style decor and or mission style decor.. 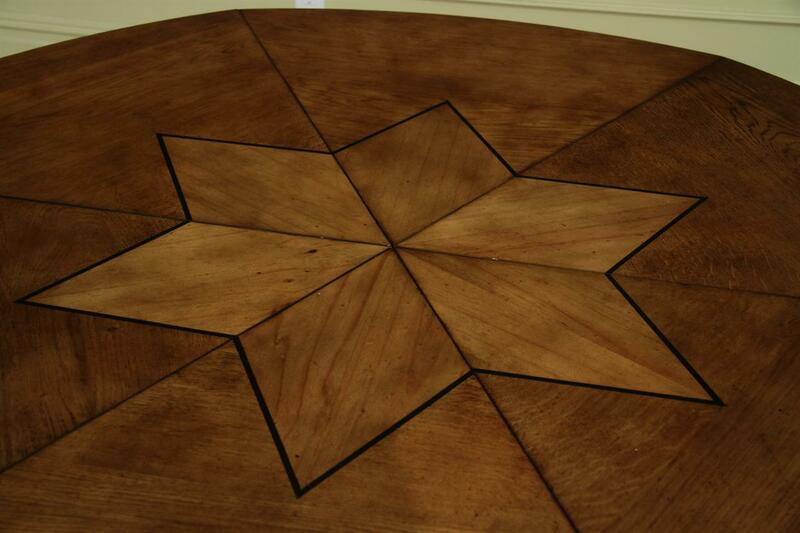 Fantastic design for many applications. 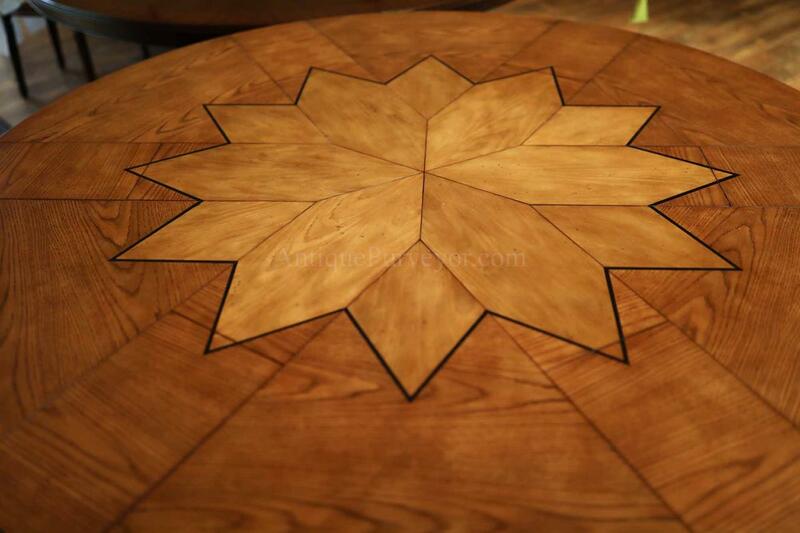 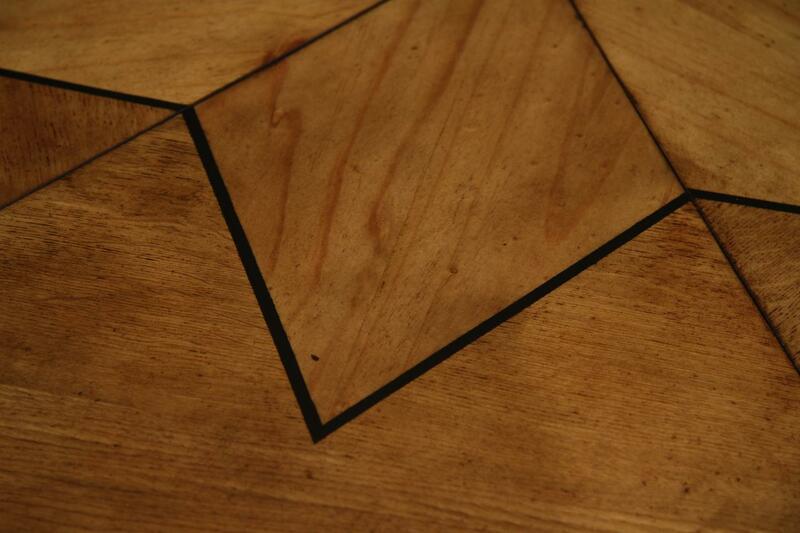 Start shape at center of table. 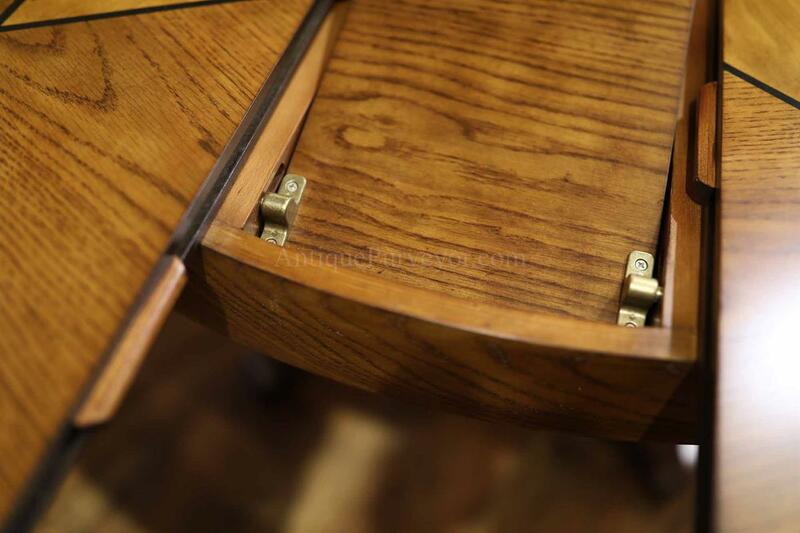 Sturdy, simple mechansim works flawlessly. 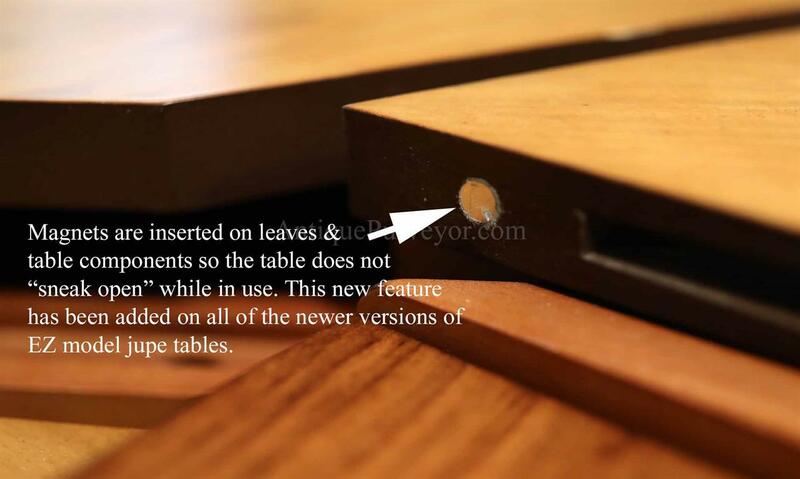 Great quality table.